This is a guest post by Róbert "klevo" Starší, developer of the open source CakePHP CMS wildflower. I came across the project a few weeks ago and really liked what I saw. So I contacted Róbert to see if he was interested in writing a little post about it. He said yes, and here is what I think will be an excellent read for anybody working on CMS systems in CakePHP. There are hundreds of PHP Content Management Systems. Why would a decently earning freelancer, hacking Wordpress to fit any clients need decide to write one from scratch? The reason is CakePHP. When I picked up CakePHP it was a little revolution. The quality of my apps got better, I growed a lot as a coder thanks to it and I did stuff faster. But when the time to build a relative simple client site came, I always resorted to Wordpress. You know the classic requirements: content managed pages, some news section. Every client also throws something specific into the mix, like a booking form, availability calendar a page pulling RSS from somewhere... I always had a hard time coming back from happy baking to plugin fixing and hacking together procedural PHP. Don't get me wrong, Wordpress is great and it has and will have it's huge user base. But we Cakers know better, don't we? So what does a programmer do when he's not comfortable with the tool he uses? He programs a new one. It's slightly more than a year that I started a project called Wildflower. The tag line is A CakePHP CMS. I think the user interface is the most important part from your clients perspective. You don't want to explain how to post a page. I actually prefer zero explanation. So it must be very intuitive. When designing it my inspiration was the stuff from Apple and 37signals. So far, I've got very positive reactions. We'll see as the user base grows. As everything, it will constantly get better based on the input. Since I was building this tool for myself, I wanted it to help me with my work as much as possible. So I baked in a few things to help with some less exciting aspects of developing. When you move your site from the development machine to a real domain or from a folder to a sub-folder, etc., there's zero work involved. No running trough a SQL dump and replacing localhost with mysite.com. This is also true for the database config. You can define all the configurations for all the machines the app runs on and they are switched automatically based on the current domain name. By uncommenting one line in the root .htaccess file you switch your site to 'offline' mode, so you can safely deploy a new version. These are details. But together they can save time. If this sound a little crazy to you, don't be afraid. You're not locked into this. 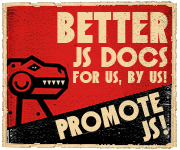 You can do your JS on your Wildflower powered sites the way you want. The bad news is there is zero documentatio for this at the moment. With the exception of code documentation, which I try to write as much as possible in the whole project. The current goal is to polish the 1.2 version and make a great stable release. This includes the move to a CakePHP plugin architecture. Currently I am using the Cake's additional MVC paths feature, defined in bootstrap.php. This approach makes it a little trickier to merge Wildflower with an existing CakePHP application. Internalization could or could not make it to the final 1.2 release. There is one company working on this with me, but I haven't seen any code from them yet. The documentation also needs to be looked at as soon as possible. My name is Róbert "klevo" Starší and I am freelance web developer from a small European country - Slovakia. I do this for a few years and I really enjoy the ride. Along the way I've touched the dark side of ASP.NET, been riding Rails and deployed a million Wordpress sites. Currently I am exploring (thanks to this project) the often forgotten database alternative - PostgreSQL and I am really starting to wonder why we use MySQL all the time. Help is welcome. Critique is welcome too. The easiest way to help this project is to try the CMS for yourself and report any bugs or enhancements you find along the way. You can also join the core team, which currently consist of me. But first make your homework and submit some great patches. Then I'll gladly give you the SVN access. The point is however, to keep the code quality at least at the current level. Another important thing is to follow the projects coding style. Thanks to Felix for making this guest post happen. [Job] Interested in working on a huge CakePHP project? Thank you for creating this great CMS! I've used it for a customer and he's really happy about it. We have been debating between using wildflower on our next site upgrade or integrating Wordpress somehow as a plugin. I'm leaning towards wildflower. Thanks for such a great app. I'm looking for such a project for a while, sure I'll try it very soon. BTW, Felix is "drake" still alive? Nice looking CMS! I quickly hit the download to check how the code is, one thing that directly struck me was your choice of not using the AuthComponent for the authentication/authorization but instead your own simplistic model method. There is nothing wrong with going simple but if you are aiming at having CakePHP devels to be using it with their current apps, don't you think it should embrace the general way of doing things? It would be great to someday have a stable, elegant CMS system built on CakePHP that competes with Wordpress. Nice work. Great to see wildflower getting some space on debuggable. I have been watching wildflower for a while, as I have too been striving to create a good little cms plugin package in cake. One day i mite actually get to finish it! Anyway, good job on wildflower, some interesting work!!! @JadB: The AuthComponent will be integrated soon. I totally agree with you. I have to say over the last year or so I've really benefited from your work. I definitely can attest that you're succeeding with your motto: We want to help people. We want to make them more productive, knowledgeable and enjoy the work they do a lot more than they do now. Please, please keep up the excellent (and very generous) work! Wildfower is filed with benefical features; Its a great use of cake blended together with other wholesome ingredients. Its a nutritious and tasty! I looked at the source code. It appears to be well-arranged and clean. But from the code-design point of view I did't like the fact that there is no clean separation between admin and front. Both share the same controllers and the same view folders. From my personal experience it is very important to separate the backend and the frontend as different modules as the complexity of their logic grows with the growth of the application itself. Also it happens often that one developer works on the backend, another on the front end. I love seeing good quality, open source, cakephp applications... very useful for developers to see other developer's work. This looks awesome. I'll be trying it out tonight. Downloaded and tried this before and I have learned a lot of cake 'best practice' from examining its code. This has been a big help for me for my first major cake project. Is multi site capability part of the future release? I need a CMS capability for my app and I'm currently integrating my cakeapp to wordpress mu. Thanks for the idea and the work. I haven't try it yet. But This will help a lot (I think so). Already download the beta version. Could you tell us if a new version will be released ? I'm currently using it right now on my site and personally I love it. Its extremely well written and easy to extend. Hey Felix, looks impressive from the screenshots. I like the style of the backend. Keep up the great work. I downloaded Wildflower and installed it, but my install doesn't look anything like the screenshots above. Where did I screw up? did u enable mod_rewrite (rewrite module) on ur apache server?